The chamber orchestra of Cameristi della Scala was founded in 1982 and is formed by musicians from the orchestra of Teatro alla Scala. In 2012 they received from the Province of Milan the Isimbardi Prize dedicated to those institutions which, with their important international activity, have contributed to the prestige of the city of Milan in the world. Cameristi della Scala has performed in the most prestigious theatres and concert halls in the world. The last October Cameristi performed in New York at the United Nations Auditorium celebrating the 60th anniversay of Italy in the UN. In recent years Cameristi performed for two concert series at the Carnegie Hall in New York, at the MIT in Boston and Washington. Cameristi also performed at the Unesco headquarters and Salle Gaveau in Paris, the Warsaw Opera Theatre, the Tchaikovsky Hall in Moscow, Tonhalle in Zurich, Coliseum in Buenos Aires and has toured China, Spain, Germany, France, Switzerland, Sweden, Norway, Denmark, Poland, Latvia, Serbia and Turkey. In 2010 the Cameristi went on a tour of four concerts in Israel, including one in the Mann Auditorium in Tel Aviv, and they also performed four concerts before a large audience in Shanghai with great success when they represented the city of Milan at Expo 2010. In 2011 they played in the Sony Center in Toronto and they opened the 2011 Emilia Romagna Festival in Imola. From 2007 and 2009 the Cameristi were the protagonists of the Grand Summer Concert in Piazza del Duomo in Milan, in front of over 10,000 people. For this concert, the Cameristi della Scala commissioned an important Italian composer to composer a piece dedicated to the Cathedral: in 2008 they played a piece commissioned from Carlo Galante, and in 2009 a composition by Giovanni Sollima. In 2011, for the celebrations of the 150th anniversary of the Unity of Italy and in collaboration with the Associazione Musica del Risorgimento, the Cameristi carried out important research on the new 19th century repertoire and they made a CD, 20,000 copies of which were available in newsagents, dedicated to Italian music in the Risorgimento. In September 2011, for the MiTo Festival, the Cameristi performed Mass for King Charles Albert by the composer from Novara Carlo Coccia (1849) for the first time in modern times. They also edited three volumes on music from the Risorgimento for the publisher Carisch. 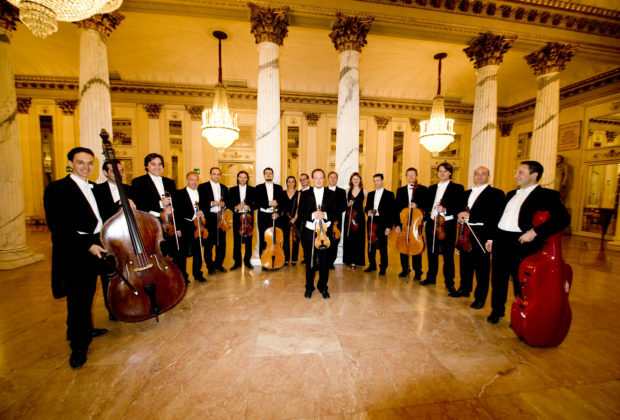 The orchestra’s repertoire includes the principal compositions for chamber orchestras from the 18th century to today, including particular attention to the lesser known Italian instrumental pieces of the 19th century, often characterised by solo parts of great virtuosity which fit well with the instrument characteristics of the group’s soloists, all first musicians in the first sections of the La Scala Philharmonic Orchestra and also well-known concert performers at international level. The constant and many years of attendance of the greatest conductors on the international scene, from Riccardo Muti to Daniel Barenboim, have contributed to shape the sound of the Cameristi della Scala and allowed their musical timbre and phrasing characteristics to emerge – all characteristics that are definitely unique in the Italian musical panorama of chamber orchestras.